Aleksandr Grigorenko was born in Novocherkassk, south of Moscow but has spent practically his whole life in the depths of Siberia. 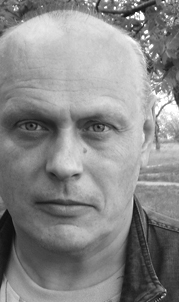 Since completing his studies at the Kemerovo University of Cinema and Photography he has worked as a journalist for the East Siberian bureau of Rosiiskaya Gazeta. Aleksandr Grigorenko lives in the Krasnoyar area.